William Shakespeare - Mini Biography (TV-14; 4:43) Though little is known about William Shakespeare's personal life, his works such as "Hamlet," "Romeo and Juliet," and "King Lear," have influenced literature and theater for over 400 years. Located 103 miles west of London, during Shakespeare's time Stratford-upon-Avon was a market town bisected with a country road and the River Avon. William was the third child of John Shakespeare, a leather merchant, and Mary Arden, a local landed heiress. William had two older sisters, Joan and Judith, and three younger brothers, Gilbert, Richard, and Edmund. Before William's birth, his father became a successful merchant and held official positions as alderman and bailiff, an office resembling a mayor. However, records indicate John's fortunes declined sometime in the late 1570s. Scant records exist of William's childhood and virtually none regarding his education. Scholars have surmised that he most likely attended the King's New School, in Stratford, which taught reading, writing, and the classics. Being a public official's child, William would have undoubtedly qualified for free tuition. But this uncertainty regarding his education has led some to raise questions about the authorship of his work and even about whether or not William Shakespeare ever existed. William Shakespeare married Anne Hathaway on November 28, 1582, in Worcester, in Canterbury Province. Hathaway was from Shottery, a small village a mile west of Stratford. William was 18, and Anne was 26, and, as it turns out, pregnant. Their first child, a daughter they named Susanna, was born on May 26, 1583. Two years later, on February 2, 1585, twins Hamnet and Judith were born. Hamnet later died of unknown causes at age 11. After the birth of the twins, there are seven years of William Shakespeare's life where no records exist. Scholars call this period the "lost years," and there is wide speculation on what he was doing during this period. One theory is that he might have gone into hiding for poaching game from the local landlord, Sir Thomas Lucy. Another possibility is that he might have been working as an assistant schoolmaster in Lancashire. It is believed he arrived in London in the mid- the to late 1580s and may have found work as a horse attendant at some of London's finer theaters, a scenario updated centuries later by the countless aspiring actors and playwrights in Hollywood and Broadway. By 1592, there is evidence William Shakespeare earned a living as an actor and a playwright in London and possibly had several plays produced. The September 20, 1592, edition of the Stationers' Register (a guild publication) includes an article by London playwright Robert Greene that takes a few jabs at William Shakespeare: "...There is an upstart Crow, beautified with our feathers, that with his Tiger's heart wrapped in a Player's hide, supposes he is as well able to bombast out a blank verse as the best of you: and being an absolute Johannes factotum, is in his own conceit the only Shake-scene in a country," Greene wrote of Shakespeare. 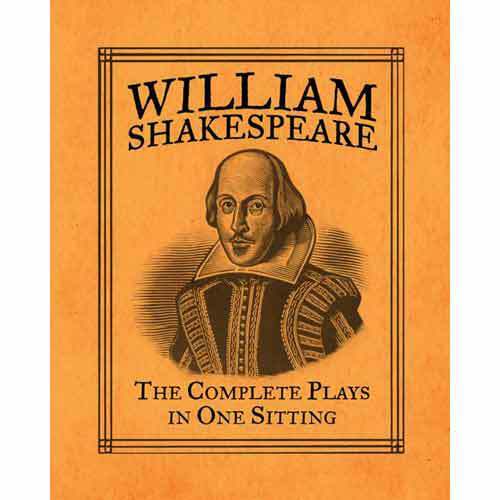 By 1597, 15 of the 37 plays written by William Shakespeare were published. Civil records show that at this time he purchased the second largest house in Stratford, called New House, for his family. It was a four-day ride by horse from Stratford to London, so it is believed that Shakespeare spent most of his time in the city writing and acting and came home once a year during the 40-day Lenten period when the theaters were closed. By 1599, William Shakespeare and his business partners built their theater on the south bank of the Thames River, which they called the Globe. In 1605, Shakespeare purchased leases of real estate near Stratford for 440 pounds, which doubled in value and earned him 60 pounds a year. This made him an entrepreneur as well as an artist, and scholars believe these investments gave him the time to write his plays uninterrupted. 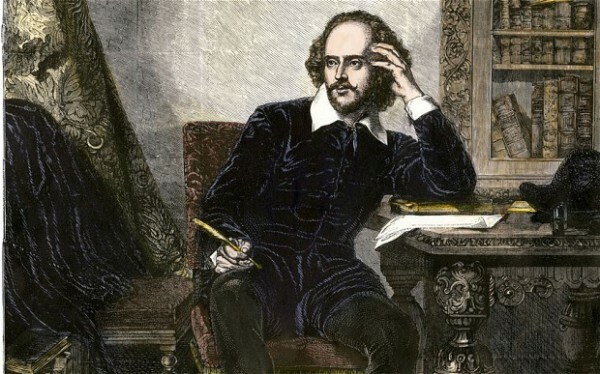 William Shakespeare's early plays were written in the conventional style of the day, with elaborate metaphors and rhetorical phrases that didn't always align naturally with the story's plot or characters. However, Shakespeare was very innovative, adapting the traditional style to his purposes and creating a freer flow of words. 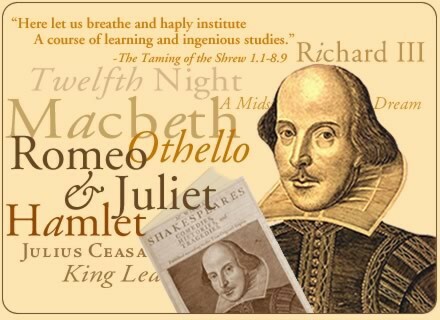 With only small degrees of variation, Shakespeare primarily used a metrical pattern consisting of lines of unrhymed iambic pentameter, or blank verse, to compose his plays. At the same time, there are passages in all the plays that deviate from this and use forms of poetry or simple prose. 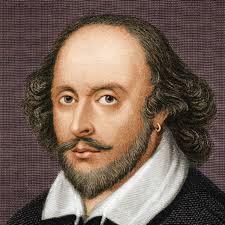 With the exception of Romeo and Juliet, William Shakespeare's first plays were mostly histories written in the early 1590s. Richard II, Henry VI (Parts 1, 2 and 3) and Henry V dramatize the destructive results of weak or corrupt rulers and have been interpreted by drama historians as Shakespeare's way of justifying the origins of the Tudor Dynasty.